NCQC calibration laboratory is ISO/IEC 17025 NABL accredited calibration lab services in India. Get more information for calibration procedures of thermometer, flow meter, ph meter, transmitter, pressure gauges, pipette, transmitter and mass calibration. 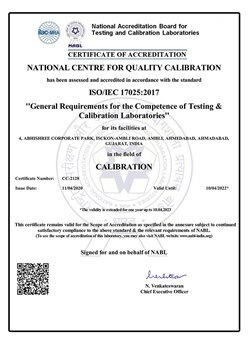 National Centre for Quality Calibration (NCQC) is an independent calibration laboratory established since 1998 in India and has provided state-of-the-art calibration services to many different industries and providing quality calibration services for testing and measuring instruments with our calibrated masters in the field of Temperature, Dimensional, Pressure, Vacuum, Time, Mass, Electrical, Noise, Airflow, Lux & all Special Purpose Instruments in all ranges. 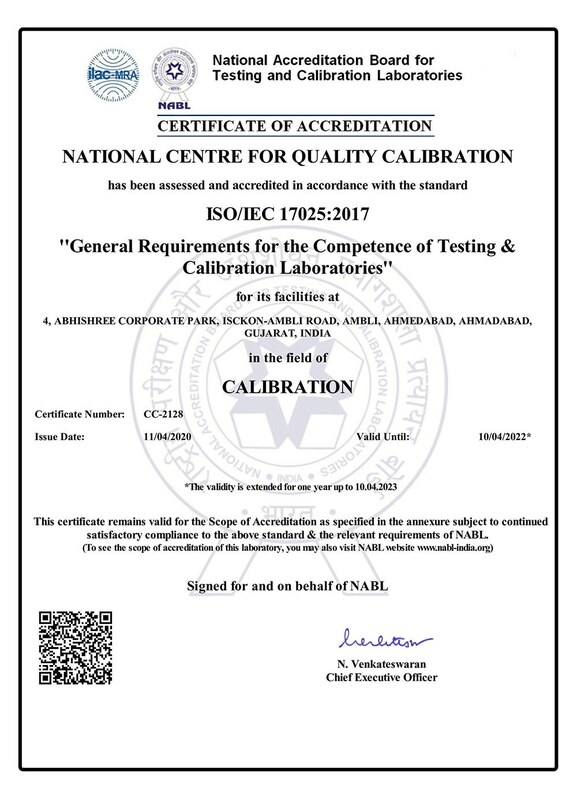 NCQC is ISO/IEC 17025 accredited calibration laboratory by NABL. NCQC had branches in 5 locations including Gandhidham, Vapi, Ankleshwar, Rajkot and Bhavnagar and covering more than 80 % of industries of Gujarat and had become market leader for instrument calibration and first preference of global customers. One Stop Calibration Services – We are doing all type of instruments calibration and as per client need we can do calibration in your laboratory or at site. Customer can submit the instruments at any of our branches. With shifts working, we are able to satisfy customer emergency situations, as well as, provide quick turnaround calibration services on a consistent basis. Our approach of 24/7/365 - being there to satisfy your most demanding time critical calibration or repair needs We provide calibration services to our customers in either our own environmentally controlled multi calibration laboratory facility or at their sites. The customers are using NCQC calibration laboratory for instrument calibration of pressure gauges, flow meter, transmitter, ph meter, flow meter, thermo couple, pipette, thermometer, temperature calibrators, mass, weights, glass wares, test sieves, torque wrenches, multi function calibrator, time, sound, gauge, furnace etc with our calibrated masters. Numbers of instruments calibrated so far 2,00,000 Approx. Numbers of companies have used our services 20,000 Approx. Our ISO/IEC 17025 NABL accredited calibration laboratory services are highly recommended by ISO certifying auditors, WHO GMP as well as FDA auditors and third party auditors. and majority of auditors have visited our calibration laboratory on our open day and seen our capability. NCQC is started since 1998, having proven name and majority of companies and leading group of India prefer our calibration certificate. We provide On–Site calibration facility, arranging calibration camps in the industrial areas and make annual calibration contracts. The Infrastructure in terms of dust free, vibration proof, properly illuminated, temperature and humidity controlled environment in our laboratory. Huge investment for sophisticated master calibration equipments and trained skill manpower gives high level of reliability and confidence. We are having reputation in the market for Quick delivery, Reliability and lower rate. ISO/IEC 17025 (NABL) accreditation in the field of Mechanical, pressure and vacuum, force, mass, volume, thermal, electro - Technical as per latest ISO standard ISO/IEC 17025 (NABL Certificate No. CC – 2128). Understand quality and importance of calibration due to our Director’s more than 30 years rich experience of ISO and management consultancy and our services given to more than 1200 Clients in India and other 45 countries globally. Infrastructure in terms of precise and sophisticated masters, skill personnel and controlled environment condition as per ISO/IEC 17025 (NABL accredited) calibration lab. Having rich experience for calibration of government organization and many big companies and multinational companies. So far more than 20,000 companies have used our facilities for calibration of more than 2,00,000 instruments. Mechanical Length, Angle, Volume, Density, Pressure, Vacuum, Sound, pressure calibrator, pressure gauges, test sieves, recorder, transmitter etc. Electrical AC/DC Current, AC/Dc Voltage, Resistance, Capacitance, Time, Speed, Frequency, Power, transmitter; energy meter, power factor meter etc. Thermal Temperature & Relative Humidity (RH), thermometer, temperature calibrators, thermocouple, furnace, ovens, Hygrometers, humidity sensor, glass thermometer, digital thermometer, RTD sensor, Pt-100 sensor etc. Process pH, Conductivity, ORP etc. Force Torque, Compression, Tension, Hardness testing machine, torque wrenches, Compression testing machine, universal tensile testing machine, screw drivers etc. 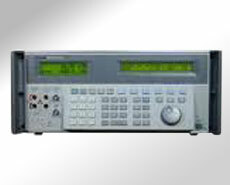 Special Purpose flow meter, multi function calibrator, time, mapping, validation, lux meter, anemometer etc. 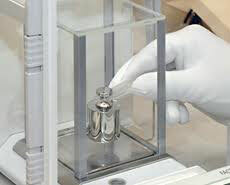 Mass Weights, weighing balance, calibration of pipette, glass wares, glass wares, analytical weights etc. Analytical instruments Oven, BOD incubator, Incubator, Weighing balance, Weight box, Weights, COD, Water bath, Freezer, Deep Freezer, Autoclave etc. Laboratory instruments Oven, BOD incubator, Incubator, Weighing balance, Weight box, Weights, COD, Water bath, Freeze, Freezer, Deep Freezer, Autoclave, Microscope, Glass wares, Pipette, Burette, Measuring cylinder, Centrifuge, Micro pipette, Test sieve, Data logger, Thermo-Hygrometer, Humidity controller, Humidity chamber, Vernier caliper, Dial Vernier caliper etc. Mapping/ Validation Oven, Incubator, Autoclave, Warehouse, Store room, Dispatch room, Furnaces, Muffle furnace, BOD Incubator, Environmental chamber, Humidity chamber, Humidity, Temperature etc.